Through fundraisers, community events, sponsorships and toy drives…Eagle gives back! The Fort Worth Stock Show Syndicate was founded in 1980 by a small group of Fort Worth businessmen led by Don Weeks and Frank Neve. In 1983, James M. "Jim Bob" Norman took on leadership of the Syndicate and preached the mission of providing these young agricultural leaders funding for secondary education. Jim Bob’s term was cut short when he died from Rocky Mountain Spotted Fever. His vision lived on when Frank Neve assumed the Chairmanship and held the first fundraiser to establish the James M. Norman Scholarship Fund. The Syndicate raised $76,000 in the auction of 1985 and a fund was established to provide scholarships to FFA and 4-H participants who were pursuing an agricultural or life sciences degree at a Texas college. 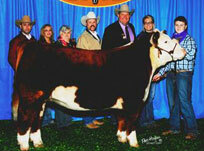 Eagle Land Services, Inc. donated the winning steer to area food banks. Eagle Land Services is an annual sponsor of this worthy event held Friday, April 29th, 2011 at the River Ranch in the Fort Worth Stockyards. 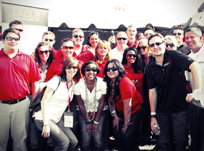 This year, Eagle attended and contributed as the margarita tent sponsor which is always a favorite amongst the crowd. Our presence of 57 Eagles contributed to the 4,000 people that attended this year. 6,000 lbs. of crawfish prepared, which was completely gone before attendees were even ready to go home. This has always been a great opportunity for Eagle to network with other industry professionals and to demonstrate that EAGLE GIVES BACK to the communities that we live, play and work in. Proceeds from this event benefits The Boys & Girls Clubs of Greater Fort Worth, which offers programs that promote and enhance the development of disadvantaged youth. Eagle Land Services is an annual supporting sponsor of Arlington YWCA Volunteer Day which is hosted by Carrizo Oil & Gas, Inc. This year’s event was held on Thursday, April 28th, 2011. 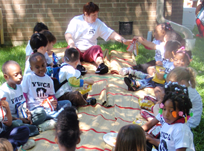 Volunteers from supporting organizations take time out of their busy day to interact with the kids at the YWCA Child Development Center. Eagle contributed a new washer and dryer to their facility and coordinated face painting and clown entertainment. Thank you Carrizo for allowing Eagle to be a part of this special day! The Marine Toys for Tots Foundation’s mission is to help less fortunate children experience the joy of Christmas; to play an active role in the development of one of our nation’s most valuable resources – our children. The primary goal is to deliver, through a new toy, a message of hope to the children. 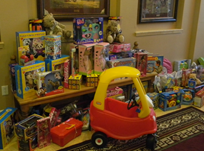 Each year Eagle Land Services participates and donates for this cause to distribute gifts to needy children in the community. Eagle Land Services was a proud platinum sponsor for FWAPL’s Annual Golf Tournament on May 4th, 2012, held at the Tierre Verde Golf Club in Arlington, Texas. This year’s proceeds benefitted The Boys & Girls Club of Fort Worth, YWCA of Tarrant County and Ladder Alliance of Tarrant County. Due the generosity of all sponsors, FWAPL donated a total of $38,000 in 2011, which was distributed equally to Cooks Children’s and the YWCA of Tarrant County. $2500 was raised through the raffle and donated to the Tarrant County Food Bank. 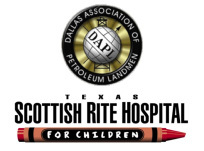 Since 1993, the Dallas Association of Petroleum Landmen (DAPL) has donated over $200,000 in proceeds from its Annual Golf Tournament to the Texas Scottish Rite Hospital for Children. Over 150 landmen and guests from Ft. Worth to Shreveport and all points in-between attended the 2012 event. This tournament is an opportunity for DAPL members, other area landmen, and any other individual or entity to support the work of the Hospital which provides care to more than 40,000 clinical visits each year, at no cost to any patient’s family. Since it opened its doors in 1921, Texas Scottish Rite Hospital for Children has treated more than 210,000 children for orthopedic conditions, certain related neurological disorders, dyslexia and other learning disorders, without ever charging a patient’s family. Because of your participation in the Golf Tournament last year, the DAPL was able to donate $20,000 to the TSRH!! 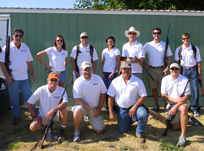 The Fort Worth Association of Professional Landmen (FWAPL) jointly with the Robert & John Ratliff Scholarships and Cancer Research Fund held their 6th Annual Memorial Shoot (which was a sporting clays tournament), Friday, August 12th, 2011 at the Alpine Shooting Range in Fort Worth, Texas. 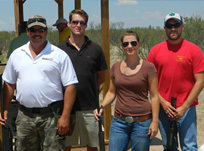 Eagle Land Services is an annual Event sponsor for this cause with three representing teams consisting of 12 shooters. Proceeds benefit FWAPL’s Scholarships and The Ratliff Fund which donates for cancer research with the goal in finding a cure. 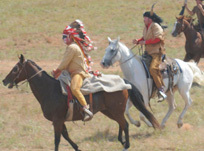 The Peace Treaty Pageant commemorates the great Peace Council of 1867 between the U.S. Government and the proud civilization of the Plain Indians: Apache, Arapaho, Cheyenne, Comanche and Kiowa. The Pageant commemorates the diverse cultures of the “Discoverers, Explorers, and Settlers” mixed with the Native peoples of the Central Plains. Eagle participated as the Cattleman-Chuck Wagon scene sponsor for this year’s pageant. When the natural gas industry came to town, so did jobs and in most areas, a boost to the local economy. Monies raised was over $1.5 million and the charity tournament raised about $10,000 for the Lycoming County United Way. Eagle was proud to be a part of this charitable event, sending a team of four to represent the company and contribute to the community. Meals on Wheels, Inc. of Tarrant County held its 14th annual golf tournament on October 8, 2012 at the Ridglea Country Club in Fort Worth. Proceeds from this event raise funding necessary to support those who depend of Meals on Wheels services. The money goes directly to the planning, preparation, packaging, and delivery of meals to our neighbors who desperately need the nourishment. Eagle is proud to annually support the organization and cause. 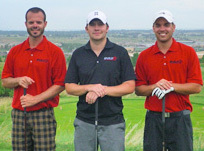 Team Eagle finished in 7th place and with only three golfers. 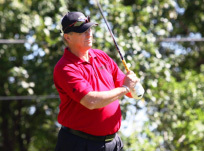 This golf tournament is the major fundraiser for the DAPL Scholarship Fund, which provides scholarships to college students enrolled in accredited Petroleum and Energy Management Programs. 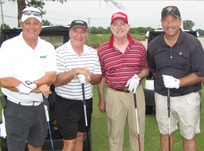 Eagle was a double platinum sponsor at this year’s tournament held on May 23, 2011 at the Oak Tree Country Club and Gaillardia Country Club in Edmond, OK. The proceeds of this event were strictly used for door prizes to encourage membership for the OCAPL. 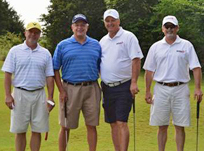 This sold out event hosted 480 golfers, mostly company landmen. Dedicated to American Energy Independence.